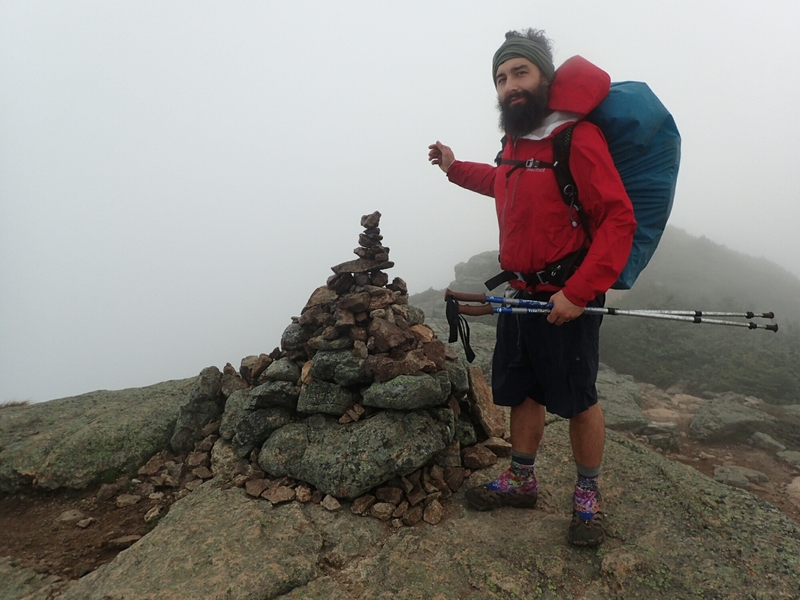 In New Hampshire, peak baggers try to summit all 48 of the peaks over 4,000 feet, often “bagging”several in one day. We bagged our first on Moosilauke, and two more yesterday on Kinsman. 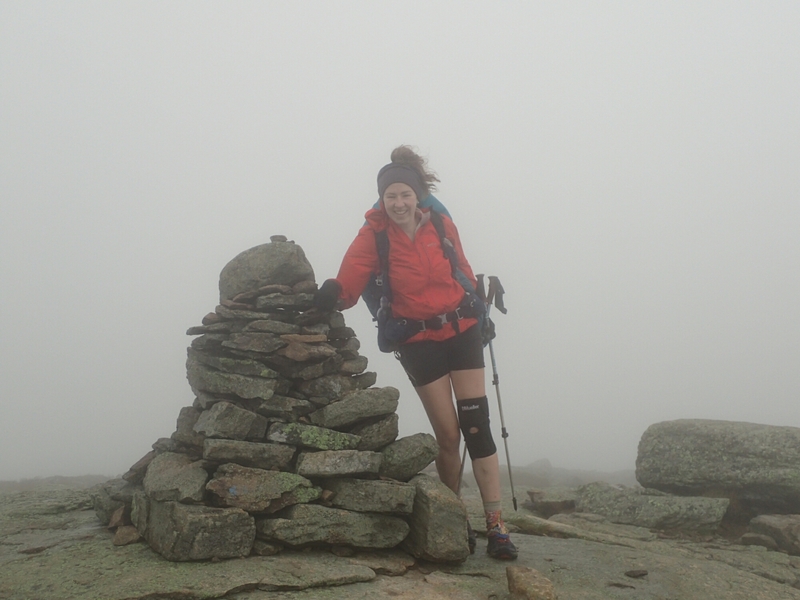 Today we bagged 3 peaks: Mount Lincoln (5089), Mount Lafayette (5263), and Mount Garfield (4458). 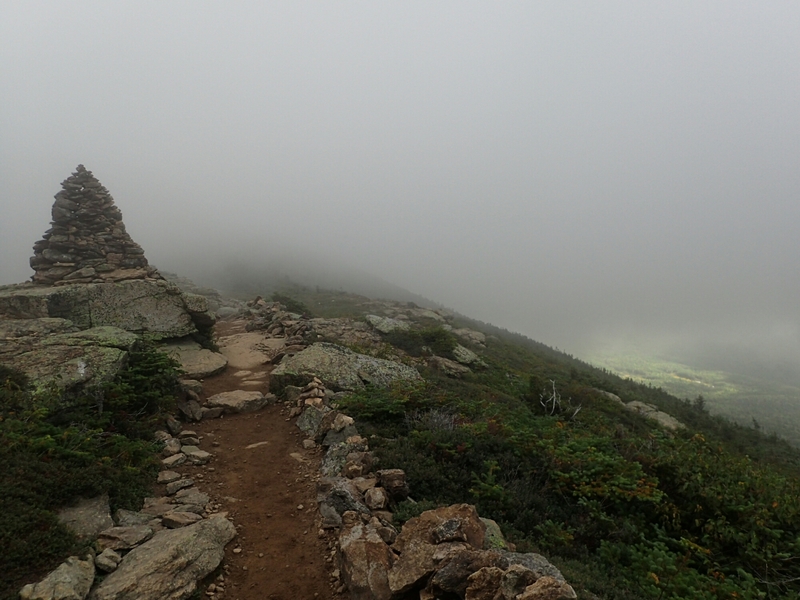 As we travelled along the Franconia Ridge, we were in the clouds and in serious wind. Knock you over winds. 80 mph winds. Fun for a minute, it got tiring pretty soon. 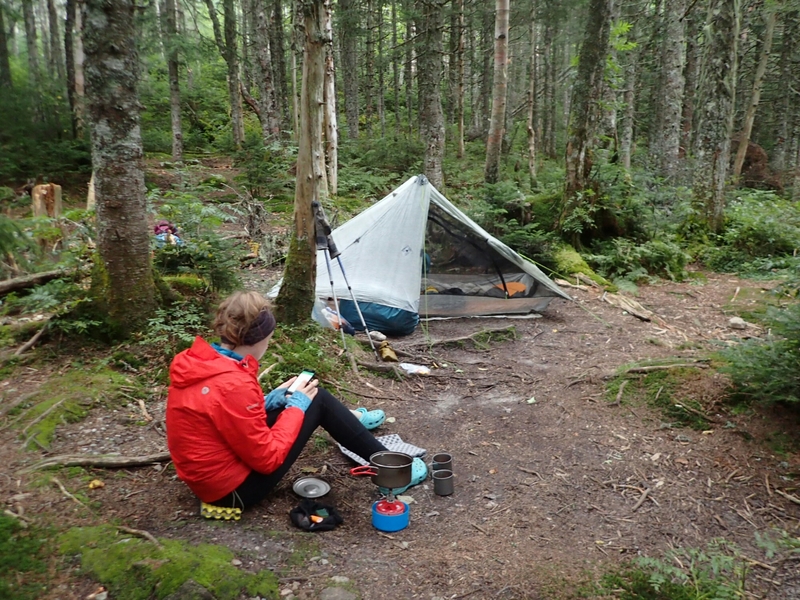 We went ten miles today and are stealth camped again. 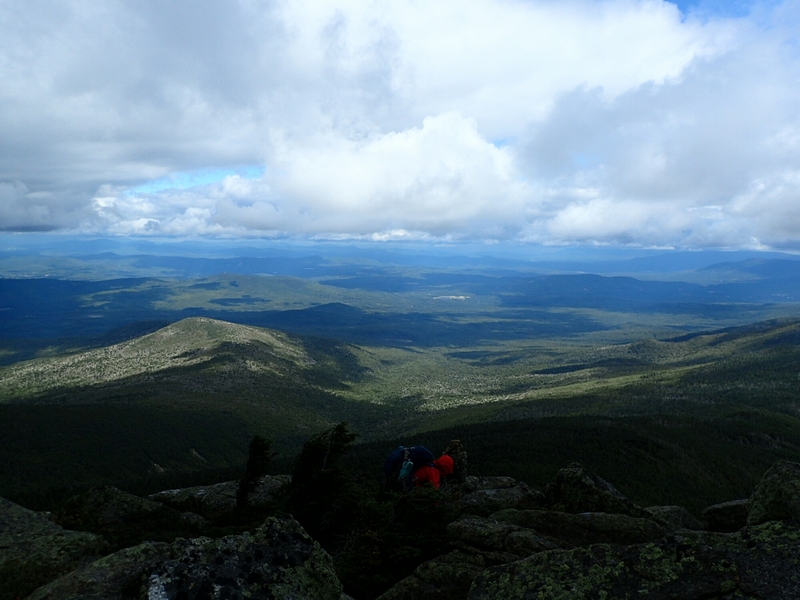 We should get good views in the morning as we go over South Twin Mountain (4902). The weather is supposed to be nice through the weekend. Enjoy! How impressive! Cold to hot! Manage your body temperature. A cold at this point would be tough. Can’t wait for the next post.